Get the details and stats, stat. The fastest way to research companies and stock ideas with SEC filings. 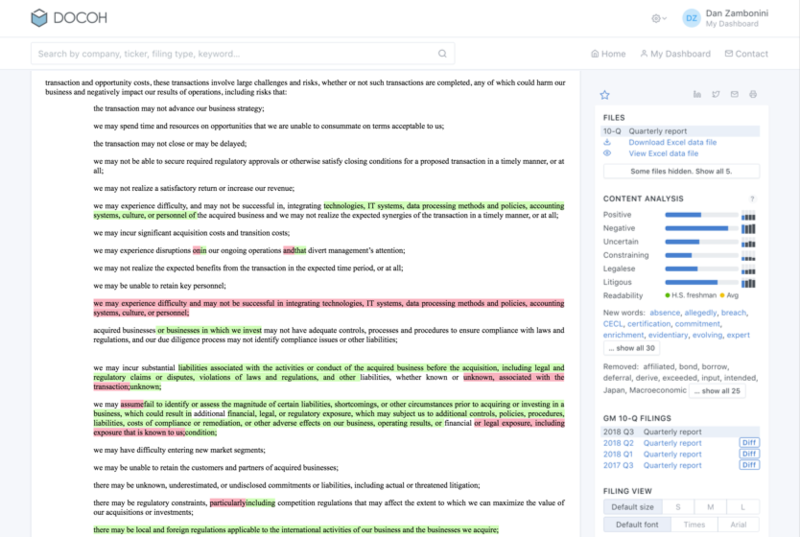 Easily search millions of filings in seconds with simple natural language or advanced boolean queries. Search keywords are highlighted when you click through to read a filing. Quickly find important changes between subsequent 10-K and 10-Q filings with diff document comparisons. Discover new words that haven’t been used before or words that have been removed with Content Analysis, and see changes in sentiment analysis over time. Search by more than ticker or filing type: find the latest filings that mention blockchain, or the most relevant filings for lithium iron phosphate. Go one step further and discover which companies mention blockchain the most and when the topic peaked. Browse your search history on your personal dashboard to help remember your research ideas. 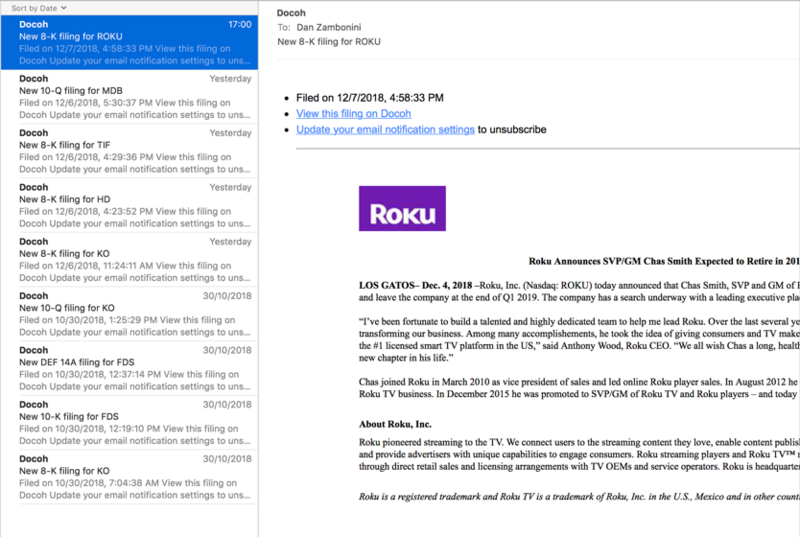 Get important new filings from your favorite companies emailed directly to your inbox with SEC filing alerts. Get hourly emails of new filings that match keywords or other searches with Favorite Searches. 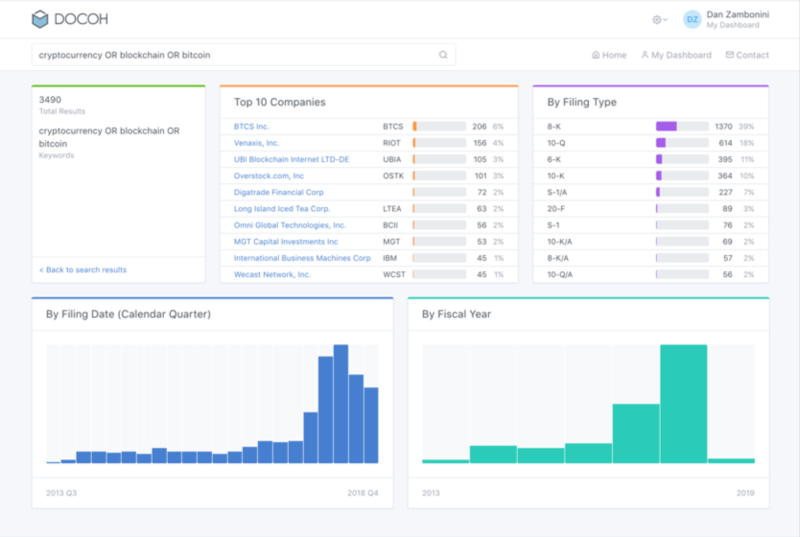 Track your favorite companies, filings and diffs on your dashboard and see the latest filing for every favorite company at-a-glance. Discover which companies are currently in the news, with a link to their most recent filing, in the Spotlight. 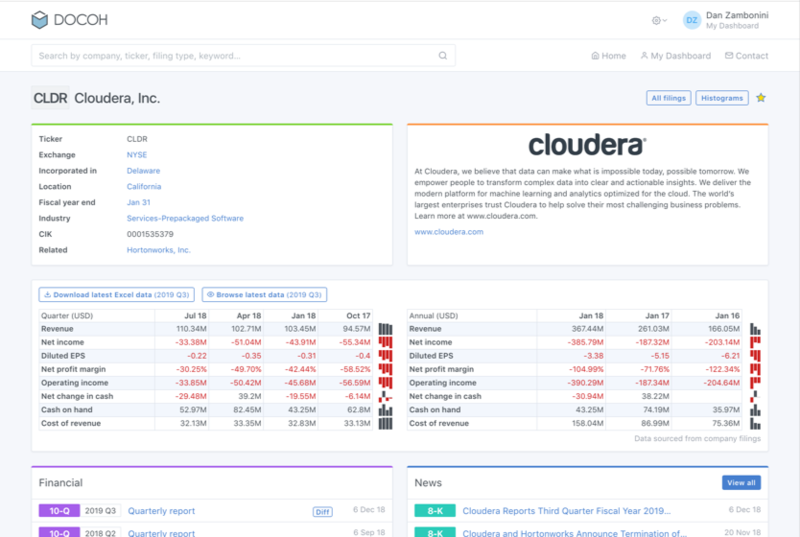 Quickly uncover company information from the company dashboard, including latest filings and financials. View and download Excel financial data from 10-K filings.